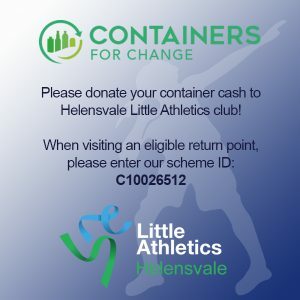 Helesvale Little Athletics Registrations | Register Online today! Registrations for the 2018/19 season will be available online ONLY via ResultsHQ. If you do not have access to a computer, we encourage you to attend one of our sign on days where computers will be available to register. We welcome children of all abilities to participate in little athletics. Children must be aged 5-17 years of age to register. Tiny Tots are welcome at Helensvale Little Athletics. Athletes with disabilities (AWD) are welcome at our centre as well. Please remember that ALL new athletes must provide proof of age (birth certificate or passport) to complete their registrations. Until this has been sighted by a member of our committee, your child will not be activated in our system. Uniforms will also be available to purchase. Credit card facilities will be available. Please note that uniforms are compulsory for all athletes in U6-U17. Prices can be found on the Uniform page under the Centre Information tab. This fee is deducted from registration fee upon joining. REFUNDS: It is the policy of this centre NOT to refund any registration fee for whatever reason.